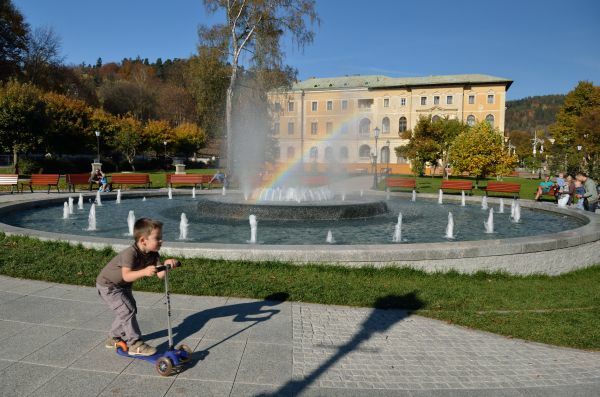 From April 26 we invite everybody to enjoy the new "musical fountain" situated in the heart of Krynica Promenade, next to the Stary Dom Zdrojowy. The shape of the fountain refers to its predecessor, its design incorporates more than 80 circularly arranged nozzles which emits water, but key innovation is the combination of visual effects (light) with music. Shows of the "light and sound" kind are held on Fridays, Saturdays and Sundays at: 5.00 (except Fridays), 6.00, 7.00, 8.00 and 9.00 pm. At that time, alternately (every hour), we can hear the Vanessa Mae’s "Classical Gas", "The Road" by Michal Lorenc, "Spring" from The Four Seasons by Antonio Vivaldi, or Enya’s "Orinoco Flow". The "light effects" can be enjoyed for an hour after the shows with music that is between 22.30 and 23.30. 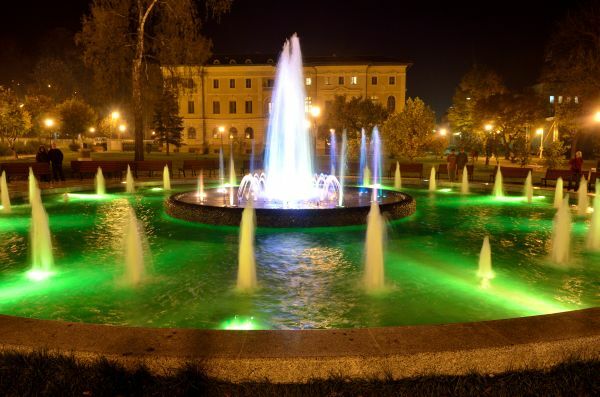 During the day the fountain is operating normally, from the end of April until the 31st of October.